This is a technique that creates a deep pain in the underarm. 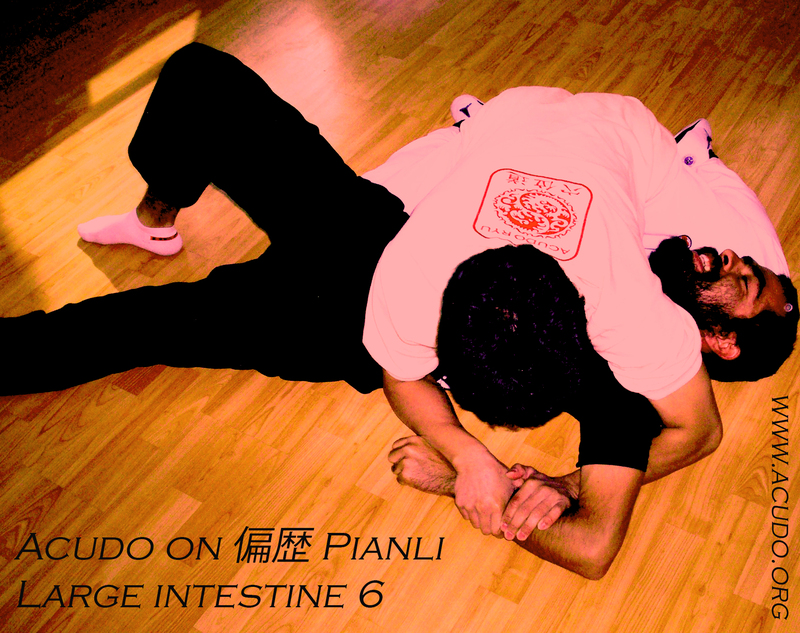 The position of the hands is slightly similar to a type of reversed Ude-garami (腕絡) that is an arm entanglement or “figure-four” key lock. The basic difference are that the left hand is not connected to your right, and that you put pressure on Pianli. Enjoy!